New design for improved aerodynamics. 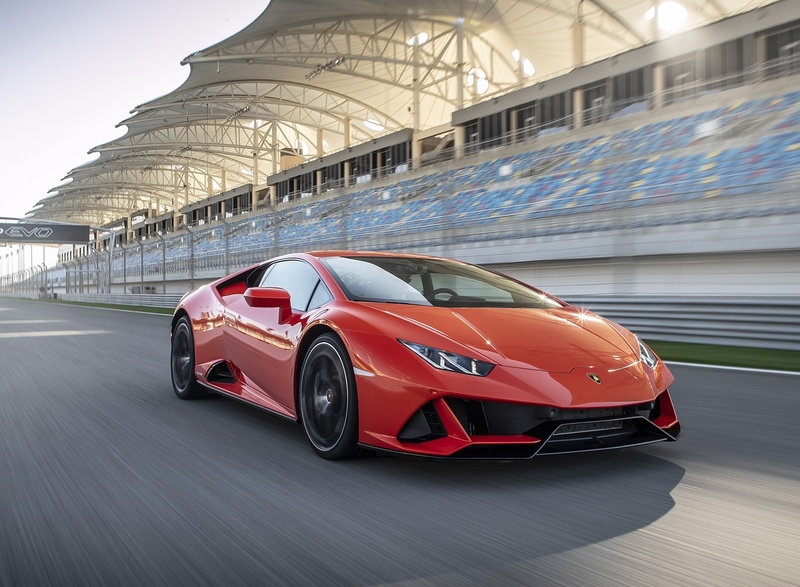 First Lamborghini with predictive logic on vehicle dynamics control: fully-integrated Lamborghini Vehicle Dynamics Control System combined with all-wheel drive, all-wheel steering for redefined parameters of responsiveness, agility and easiness to drive. 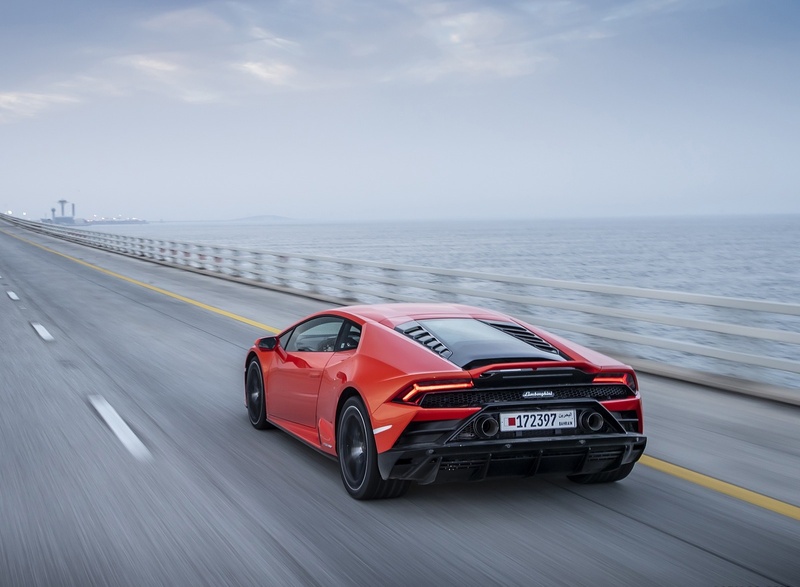 Engine from the Huracán Performante with 640 hp and 600 Nm of torque. New infotainment system with advanced connectivity features. 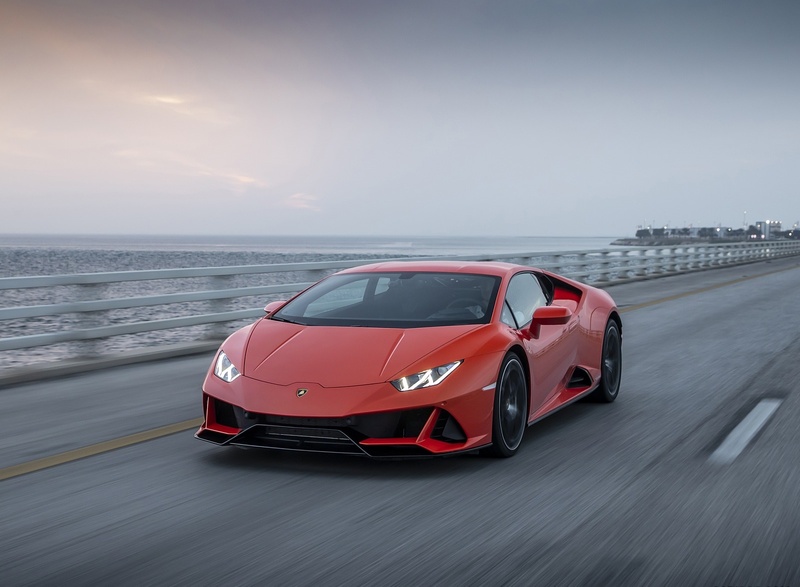 Automobili Lamborghini presents the new Lamborghini Huracán EVO: the next generation V10 super sports car, based on the prowess and performance of the Huracán Performante and incorporating next-generation vehicle dynamic control and aerodynamics. 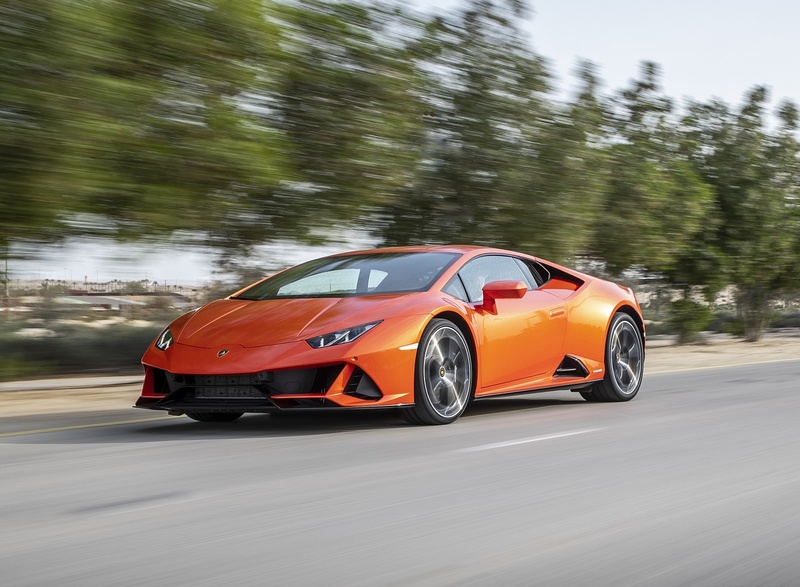 The Huracán EVO features the 5.2 l naturally-aspirated Lamborghini V10 engine, uprated to produce higher power output and an emotional and powerful sound, with Titanium intake valves and refined lightweight exhaust system. 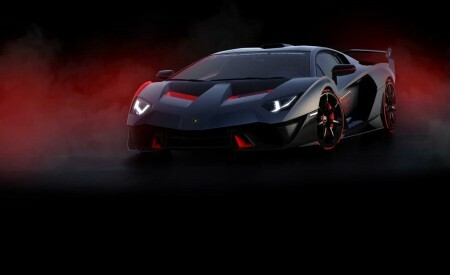 The Huracán EVO outputs 640 hp (470 kW) at 8,000 rpm with 600 Nm of torque delivered at 6,500 rpm. 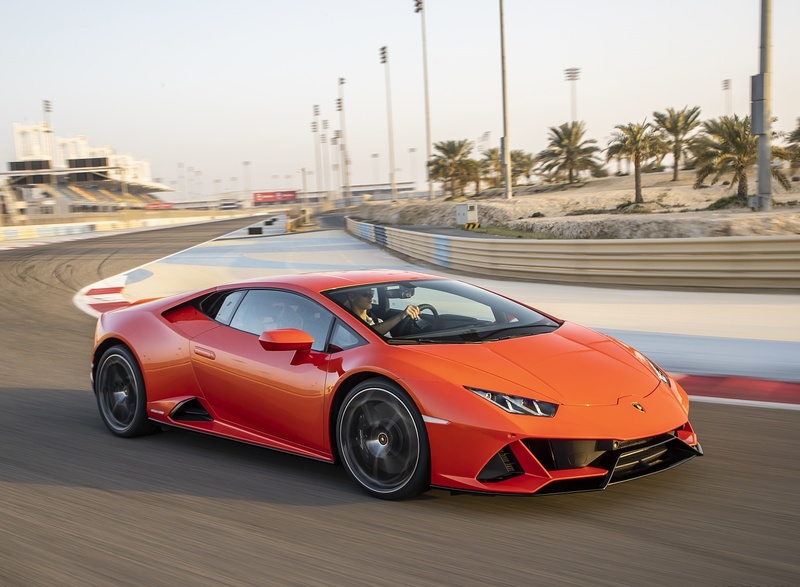 With a dry weight of 1,422 kg the Huracán EVO reaches a weight-to-power ratio of 2.22 kg/hp, accelerates from 0-100 km/h in 2.9 seconds and from 0-200 km/h in 9.0 seconds. 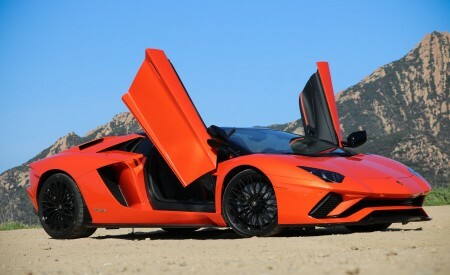 Braking from 100 km/h to 0 is achieved in just 31.9 m, with a top speed of more than 325 km/h. 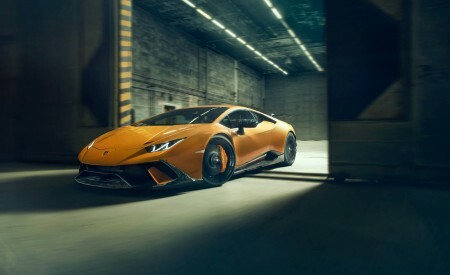 The Huracán EVO features new Lamborghini rear-wheel steering and a torque vectoring system working on the four wheels, while at the heart of the car is the new feature of Lamborghini Dinamica Veicolo Integrata (LDVI): a Central Processing Unit that controls every aspect of the car’s dynamic behaviour, fully integrating all of the car’s dynamic systems and set-up to anticipate the next move and needs of the driver, interpreting this into perfect driving dynamics. 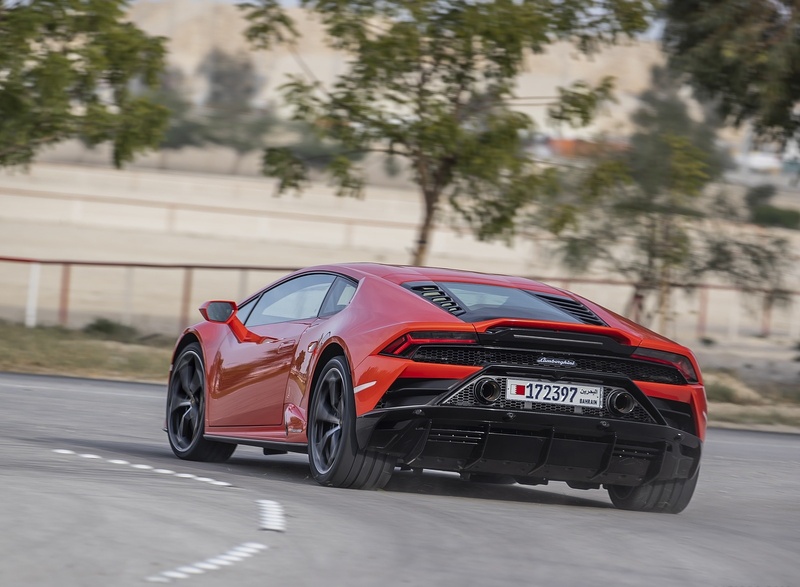 Lamborghini Piattaforma Inerziale (LPI), a comprehensive set of accelerators and gyroscope sensors placed at the car’s center of gravity, has been enhanced to version 2.0. With improved precision, it monitors in real-time the dynamic vehicle attitude regarding lateral, longitudinal and vertical accelerations, as well as roll, pitch and yaw rate. The magneto rheological suspension, upgraded to version 2.0, instantaneously adapts the damping following inputs from the LPI. 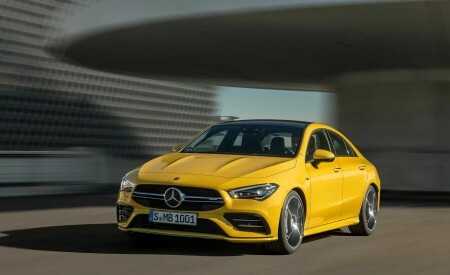 A new advanced traction control system together with enhanced all-wheel drive and torque vectoring, allows traction to be directed to a single wheel as required. 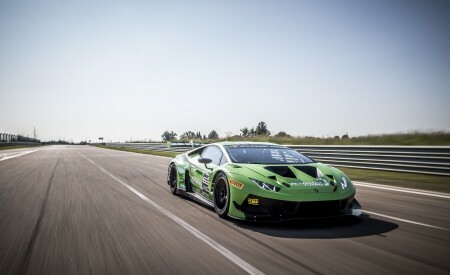 Enhanced Lamborghini Dynamic Steering (LDS), able to provide higher responsiveness in corners while requiring the lowest steering angles, is now coupled with rear-wheel steering in order to ensure agility at low speed, as well as maximum stability in high-speed cornering and under braking in the most severe conditions. 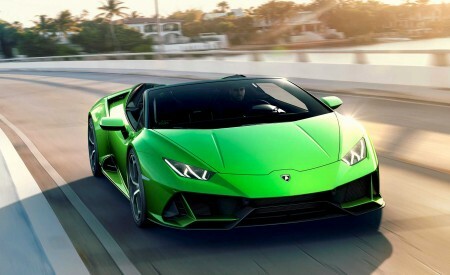 The unique combination of all these systems is governed by Lamborghini’s LDVI to create a super-agile and responsive car with unparalleled level of control. 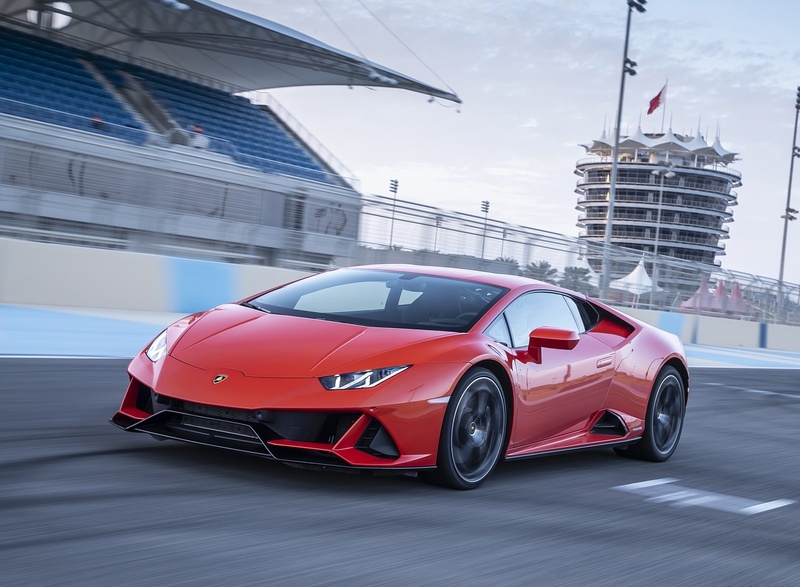 Processing data in real time, the Huracán EVO recognizes the driver’s intentions through steering wheel, brake and accelerator pedal inputs, engaged gear and the driving modes selected via ANIMA controller: STRADA, SPORT or CORSA. 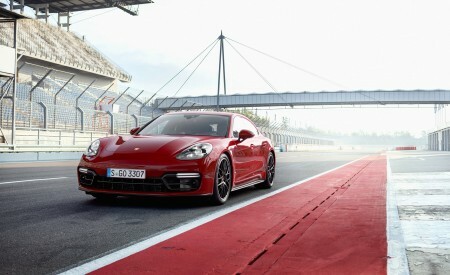 External conditions are determined through active suspension and all-wheel drive grip estimation function. All of this information is analysed and processed by LDVI, which turns them into precise inputs for the vehicle dynamic system. A ‘feed forward logic’ is implemented via the dynamic controller, which means the car doesn’t just react, but predicts the best driving set-up for the next moment. In STRADA, the Huracán EVO is agile and capable for driving enjoyment, whereas in SPORT it becomes playful, intuitive and extremely exciting. 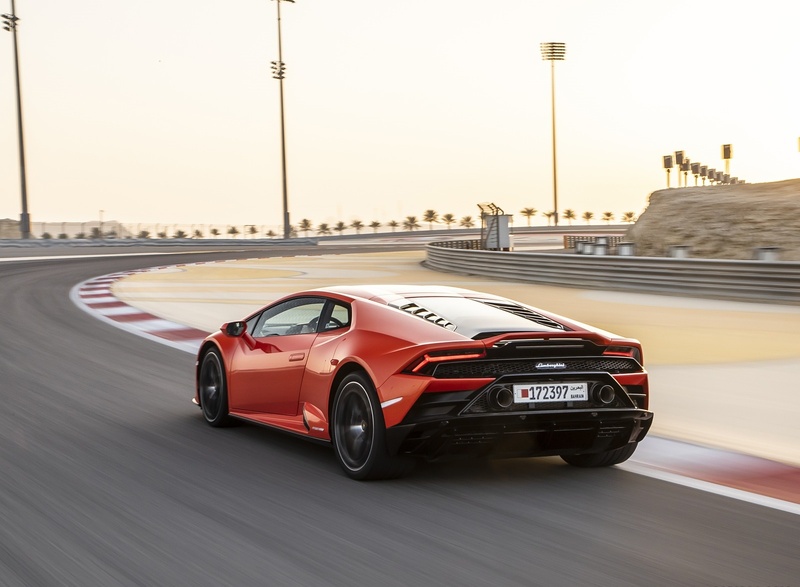 In CORSA the Huracán EVO is sharp, reactive and exhilarating for the most extreme driving environments, such as racetracks. 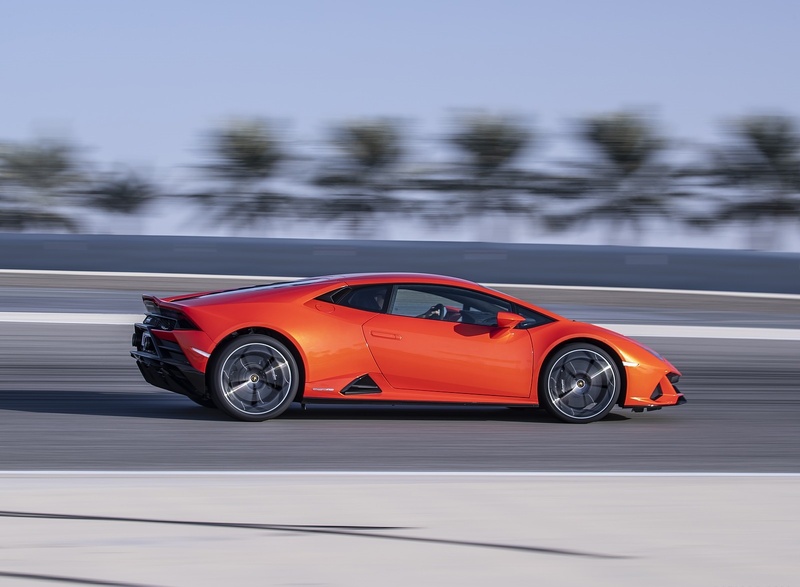 The distinctive design defines the aerodynamic superiority and enhanced driving dynamics of the Huracán EVO. 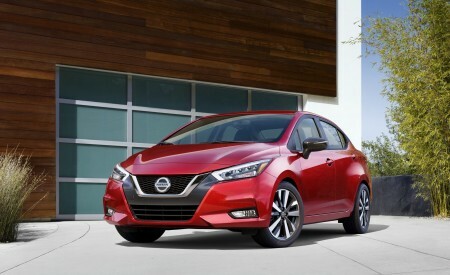 A new front bumper gives the car a low, assertive personality, but more importantly assures aerodynamic efficiency via the front splitter with integrated wing. The enlarged air intakes feature the Ypsilon shape that is inherent in Lamborghini design DNA. 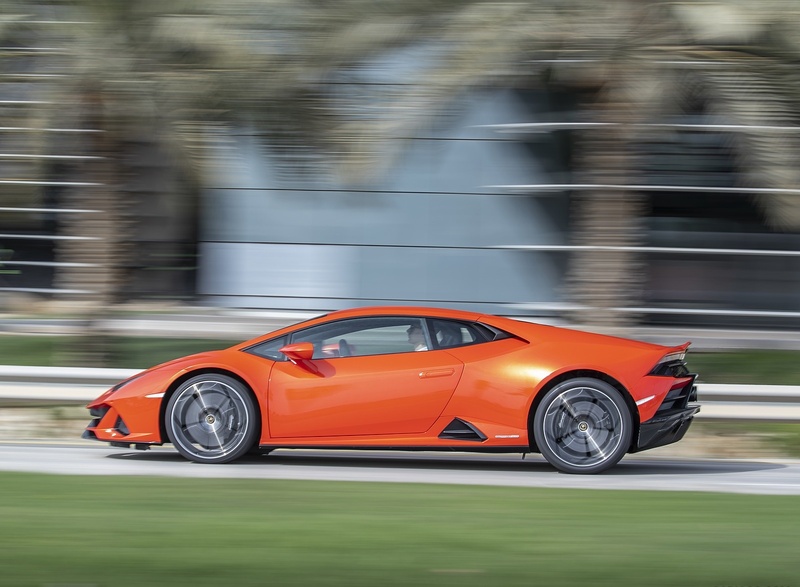 The side profile of the Huracán EVO is articulately dynamic, featuring Lamborghini’s hexagon design references in the windows, the new wheel design and around the new side air intakes. 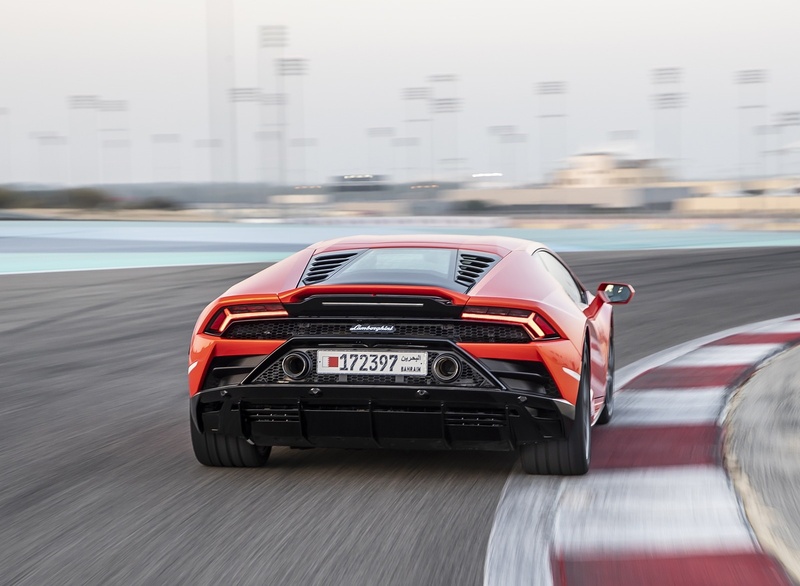 It is at the rear of the car that the Huracán EVO most distinctively evokes the power and dynamism that lies within. 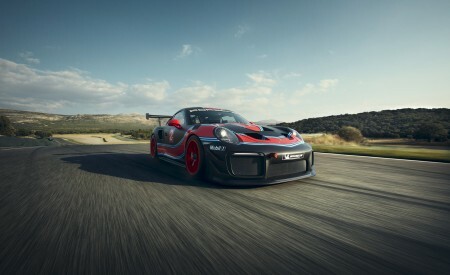 Reflecting the wide, open, naked rear seen in its race-car brother, the twin outlets of the new sports exhaust system are positioned high up in the car’s rear bumper. At the upper end of the tail an integrated, slotted spoiler provides enhanced air flow, clearly asserting the car’s aerodynamic abilities. 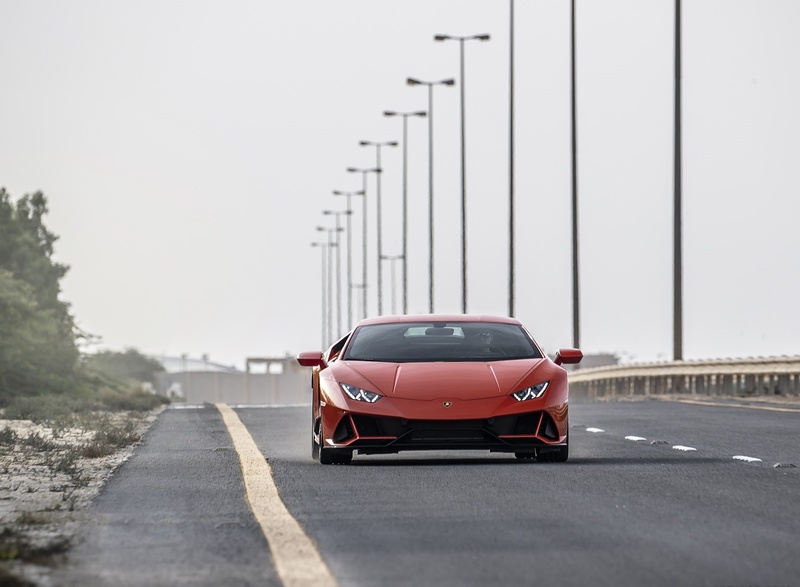 The Huracán EVO’s aero competency continues with the underbody, which has been shaped to maximize aerodynamic efficiency: the new integrated aerodynamic styling of the Huracán EVO improves downforce and aerodynamic efficiency more than five times over the first generation Huracán. 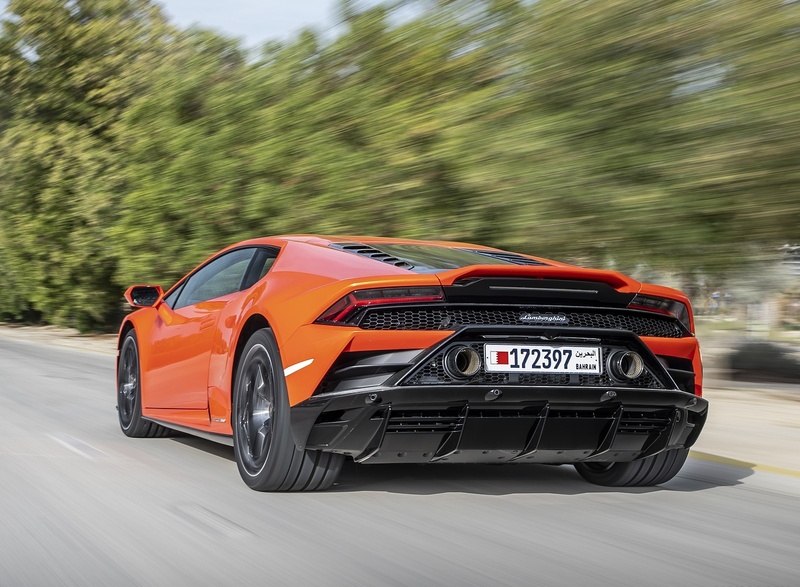 The presence and purpose of the Huracán EVO resonates throughout its design, but also in the notes from its exhaust, with a super exhaust sound reflecting the increased power and dynamic abilities of this latest Lamborghini. A new 8.4” HMI capacitive touchscreen, located in the centre console just above the start button, puts connectivity at the driver’s fingertips, with multi-finger gesture control. Governing car functions including seats, climate and the status of the LDVI system in real-time it also puts all infotainment, such as Apple CarPlay with smartphone integration, at the cabin occupants’ disposal. A multimedia system incorporates connected navigation and entertainment including web radio and video player. The intuitive interface allows voice commands and puts the driver in touch with Siri. An optional dual-camera telemetry system is also offered via the touchscreen, allowing advanced telemetry recording and analysis. An integrated high-capacity hard disk is also available. 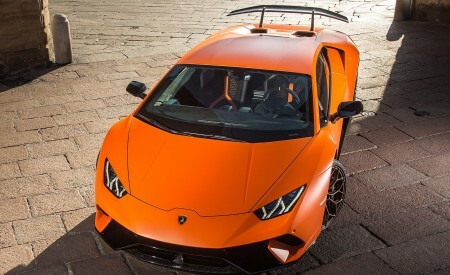 The Huracán EVO is presented in Arancio Xanto, an iconic new Lamborghini four-layer color. New 20” Aesir rims, dedicated to the EVO, are complemented by Pirelli P Zero tires. 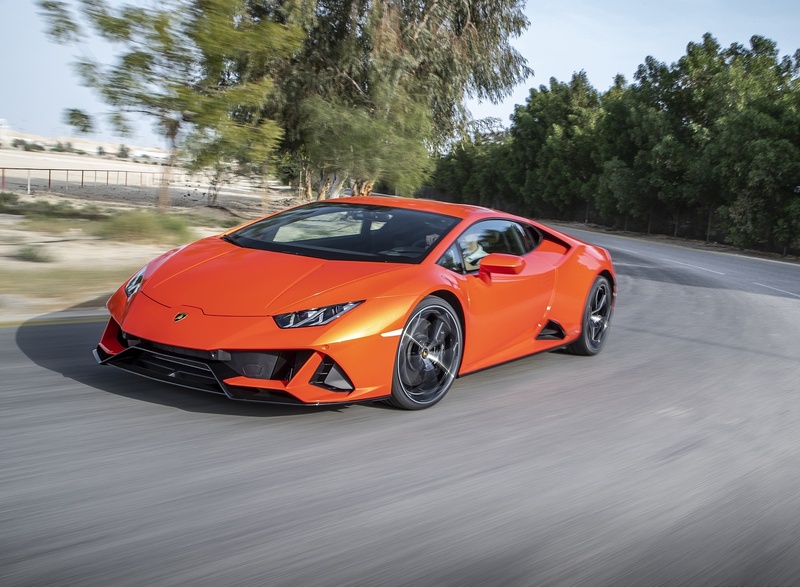 Inside, the Huracán EVO is a luxurious driver’s car. The interior features a dedicated new EVO trim in Alcantara and leather mix, with Arancio Dryope details matching the body tone. The new sporty and elegant trim, features a number of bi-color and trim options as well as a highly sportive Alcantara option. 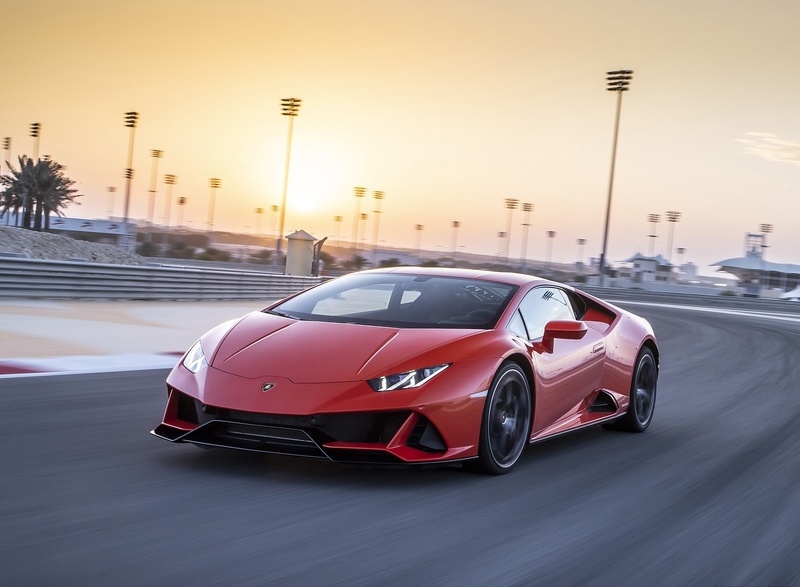 Lightweight materials such as Carbon Forged Composites and Lamborghini’s patented Carbon Skin are available on request, and are highlighted by the new customizable ambient lights feature within the cabin. 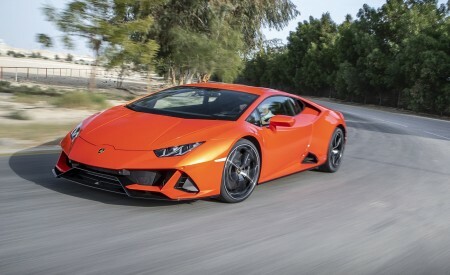 Both the exterior and interior of the Huracán EVO are designed to maximize the specification possibilities, with several new options such as a wide range of Style Packs in shiny black and body color as well as Lamborghini’s Ad Personam program, which offers virtually limitless opportunity for owners to customize their Lamborghini.